L3O and Horizon Game Discussion Boards • View topic - When can we expect some news? When can we expect some news? Sounds excellent. Just curious, how did you select the races that would only be minor races? Why these races? We had 4 "minor" races in Horizon, these were the Barbeck, the Barsig, the Gargals and the Humans. So except for the Humans the decision was to relegate the others to minor status. 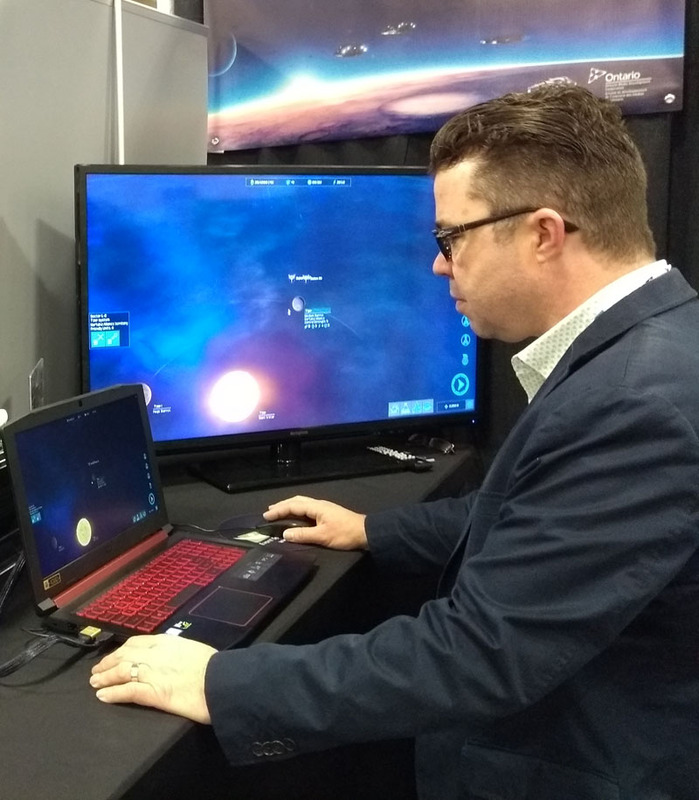 Minor status in the new game means they won't be player select-able and will be limited to staying on their homeworld because they won't expand. It wasn't an easy decision but had to be this way so we could keep the 3d graphical assets of high quality. Hopefully later we can make all the original races player controllable. Thanks for the info....can't wait to see more about this 3d graphical assets you're talking about....seems like a big thing. Can you tell us something about the victory conditions and how you plan to keep end-game entertaining. The story quests in Horizon 1 allow for diversity and the diplomatic victory avoids the end-game conquest all system. Post subject: Re: When can we expect some news? Hey Zaimat got any juicy news about new game yet? Conquest : This will always be a big part because our games are designed around Tactical Combat and Strategic warfare. So we can hopefully make it more entertaining through all stages of the game. Diplomacy: Just as important and a designing principal remains for the new game to allow exerting significant pressure on other factions to the point where it is possible to win diplomatically via coordinated actions where a single or group of factions can act against another. These diplomatic actions will become more potent mid-to-late game. Story quests: I think there is more we can do with these to enrich the game experience while also opening new victory paths as in Horizon 1. Still it's important to keep them open-ended and organic (vs. linear campaigns). Horizon 1 showed the way in this regard, other space 4x games have since adopted our approach with recent games. I can't speak too much more about this right now because our focus is to build the game mechanics first (which are much more in-depth) and we will only be able to really focus on this later, perhaps in DLCs. Late game events: I like these a lot personally, probably we will add them later through expansions or DLCs for the same reasons as story quests so we keep our focus on the core game play mechanics. Victory Points: I'm not a big proponent of this design, it all feels very artificial to me. I think it might make sense in multi-player games due to limited playtime. It is fairly simple to implement so if we have time or there is a big demand, it's something we could add but there are no plans for it right now. Sorry for the delayed response. Time goes fast when in development. Aw, man! I wish I could be there. Sounds great. Thanks for the Information. Any Chance we might see a screenshot or two from the game when you are at the GDC? I live in Europe so won't be able to join you. I plan to post some photos on our twitter account from GDC. I will also post here when I get a chance during or after. Good luck with the GDC! So how did it go? I see only screenshot. How's the guy? How long did he play? GDC went great, got some excellent first impression feedback from other developers trying the game out. The gentleman in the photos was nice enough to let me take a few pictures of him while playing to share it with you. I think he played for around 15 minutes (that's pretty normal during events like this, people are pressed for time and you want to see/talk to as many people as possible). Sounds great! Keep it coming. Yes! We are working just as fervently every day, sorry for being so quiet. Things are taking more time but otherwise going very well. 1. My desire to focus on development for the time being (we don't have a dedicated person to deal with Media inquiries, so it would fall on me without a publisher). 2. Talking with interested parties (publishers) to see if a mutually beneficial deal could be made (unfortunately not so far). 3. New features. Some things that were originally planned but had been cut for time constraints we re-assessed and have been able to incorporate them in as we've put more time into development. So I'm really happy about that. We're almost there so I hope will be moving to that next phase very soon. The game's quality is still our most important factor in our decision making which is why we are not rushing to release. Thank you for asking and being patient. Sounds great! Looking forward to the new features you have been able to add. Keep it up! Hello out there :p Just checking in , are we gonna see some news soon? Hope this one doesn't take 10 years to complete, just hopeing. I have been playing Stellaris (very boring game imho even if it has some nice ideas) and Stars in Shadow lately and am wondering how you will handle borders. In both games, borders are clearly shown on the galactic map. 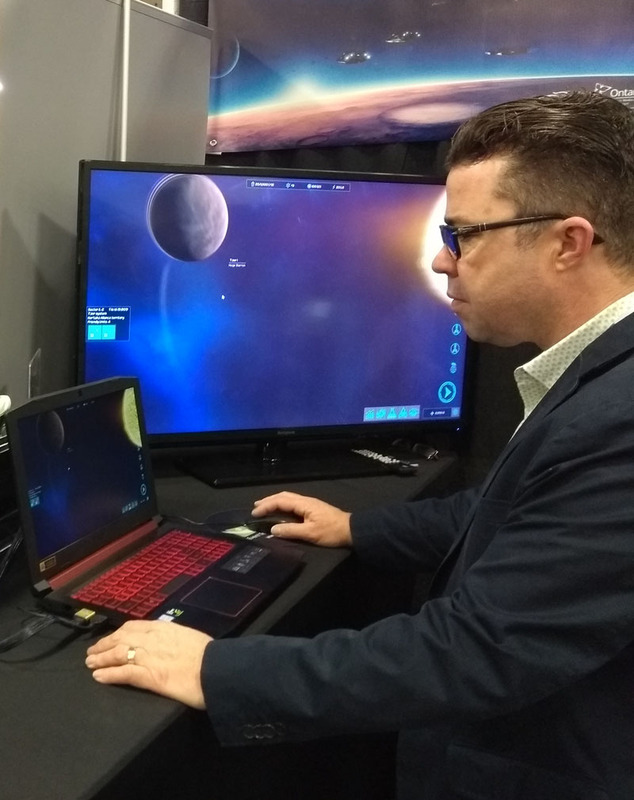 Horizon 1 has the same system as the Moo2, Reach for the Stars and Master of Orion Conquer the Stars where you can colonize everywhere. What are your plans? Thanks. I am also wondering if there should be more differences (advantages and disadvantages) between the different travel and weapon techs in Horizon. Hope to hear soon from you guys! Borders are based on influence, a colony or space installation can generate influence (based on various local factors) and that influence has a range and decay (curve) over distance. If two different factions have influence in the same region (border friction) the strongest prevails. Movement and Path-finding for units respects borders and when traveling will go around other factions borders. There are of course the usual exceptions such as certain treaties or when they are attacking you, etc. The thing that's different with how Borders are implemented in "H2" is they precisely demarcate territory and we have seamless open space travel/path-finding unlike others. In the games you mention as far as I know the shape and size of borders are visual approximations but have very limited (or non-existent) interaction with actual travel/path-finding which is point-to-point or star-to-star. In "H1" we actually had the units travel in open-space (tactical view) but it was limited in that we didn't have a seamless map (tactical and strategic), so you couldn't zoom-in/out as they were moving, and the fact that all units moved at the end-of-turn like in MOO/MOO2. Now units move *during* the turn immediately when they receive an order. This makes it so much better in so many ways both visually and gameplay. For colonization, the rules are that if another faction controls the system or if there are hostiles/threats in the system you cannot colonize until you remove those threats or take control over the system from the other faction. Borders affect movement, relations and influence but they don't dictate where you can and cannot colonize on their own. I think this is the right approach, what do you think? The terrain and path-finding system is much more complex and robust in H2 so it's going to make a big difference having the different engine modifiers. Traveling through Nebulae, Asteroid fields, etc has a HUGE impact now, and your ships will path around to find the quickest route with their equipped engines.